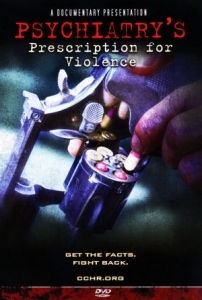 A documentary presentation; Psychiatry’s Prescription for Violence. Get the facts behind the current wave of senseless violence and school shootings. Bulk order discount: Price drops to $7.50 each if you buy 200 or more.